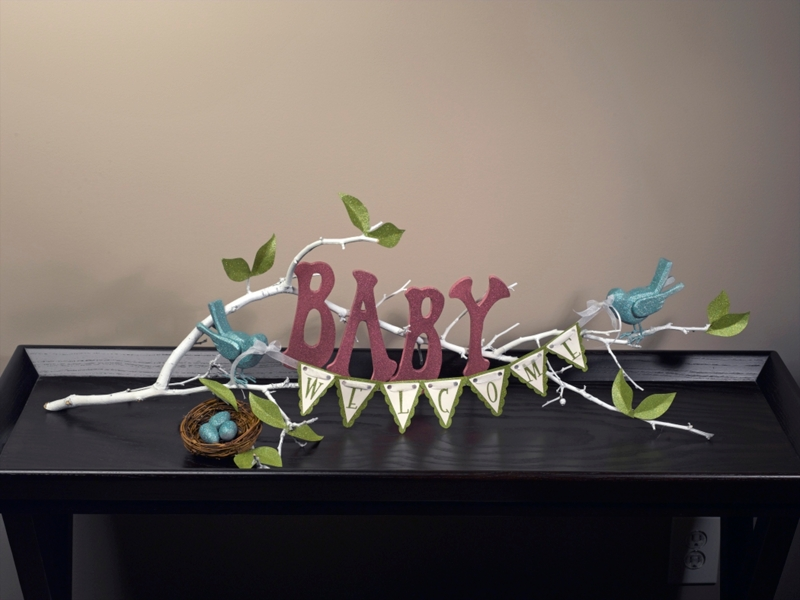 Baby shower décor will match the twinkle in a mother-to-be’s eyes with this charming, shimmery centerpiece. Ribbon: 3/8” white sheer, 1 yd. Welcome Baby was designed by Roxi Phillips.